Alphabet Wipe-off Activities, Endless Fun to Get Ready for School! by Alex A. Lluch, 9781613510902. 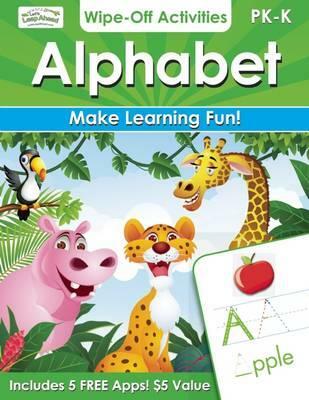 « Alphabet Animals Grades PK-K, Home Workbooks: Gold Star Edition by Carson-Dellosa, 9781604187601. Informacje o Alphabet Wipe-off Activities, Endless Fun to Get Ready for School! by Alex A. Lluch, 9781613510902. Produkt został dodany 06.11.2015 14:01. Ostatnia zmiana danych produktu miała miejsce 06.11.2015 14:01.